Patna Pirates' raiders failed to overcome the strong defence from Gujarat Fortunegiants. 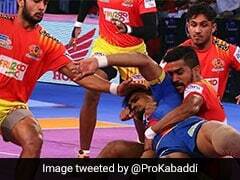 Gujarat Fortunegiants became the second team after U Mumba to qualify for the playoffs of the Pro Kabaddi League (PKL) after hammering Patna Pirates 45-27 in an inter-zone challenge contest at the Thyagraj stadium in New Delhi on Tuesday. Parvesh Bhainswal put in a terrific defensive show as he scored eight tackle points, while Sachin and K. Prapanjan contributed nine raid points each to lead their team to comprehensive victory. For Patna skipper Pardeep Narwal, it was a day to forget as he scored just one tackle point and that cost the defending champions badly. In the second match of the day, Dabang Delhi defeated Telugu Titans 34-29 in a nail-biting contest. Earlier, Gujarat made a strong start as they kept Pardeep quiet for the first five minutes and Sachin picked up a couple of raid points. After five minutes Gujarat led 7-2 and were threatening to run away with the match. A super tackle in the next minute gave Patna Pirates a lifeline as they trailed 4-7. Gujarat Fortunegiants inflicted an all out in 8th minute to open an eight-point gap to lead 13-5. It took Pardeep 10 minutes to open his account as Gujarat's defence had an excellent first half. Another tackle point in the 20th minute gave Gujarat 20-12 lead at the end of the first half. Gujarat further asserted their dominance as they inflicted another all out to lead 26-13 in the 23rd minute. Patna raiders just couldn't deal with the strong Gujarat defence and struggled to get raid points. 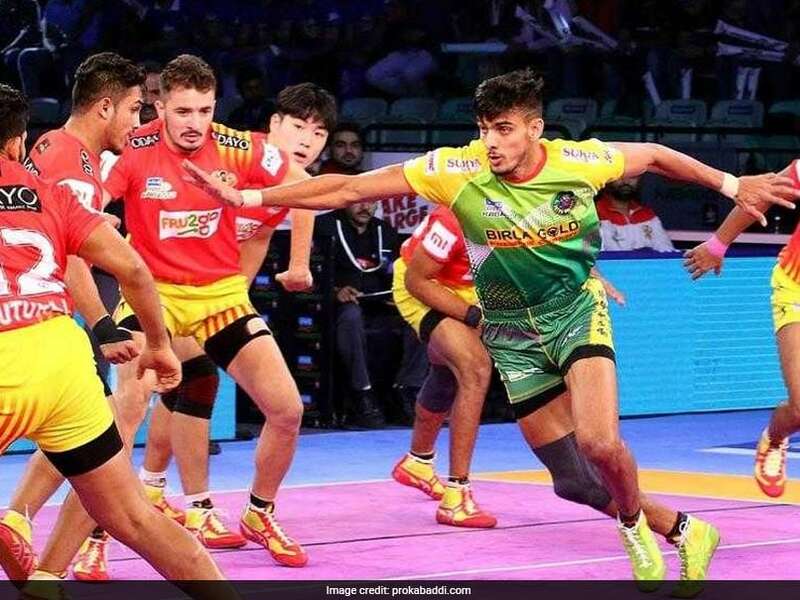 Manjeet scored with a raid point in the 32nd minute as Patna Pirates trailed 18-32. It just wasn't Patna Pirates' night as their raiders just couldn't get going. Their defence performed decently but it was never going to be enough.